Prices starts as low as $9.90 at Mondo! For all shoe fans out there, this is the deal for you! Mondo is having a discount again and prices start as low as $9.90 per pair! 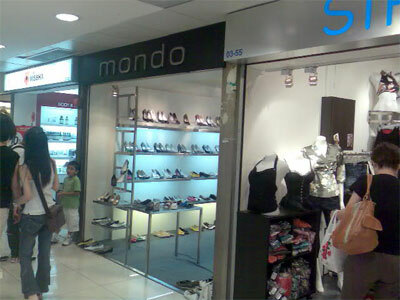 Popular amongst teenagers, Mondo is known for their ballerina flats and heels in many funky colours! So visit Mondo at #03-54 of Far East Plaza to enjoy this great bargain!